Strange and Uncertain 2014. Digital painting. Size variable. This painting is different from most I have been doing recently in that it developed over a 10 day to two week period and has a non-centered composition. 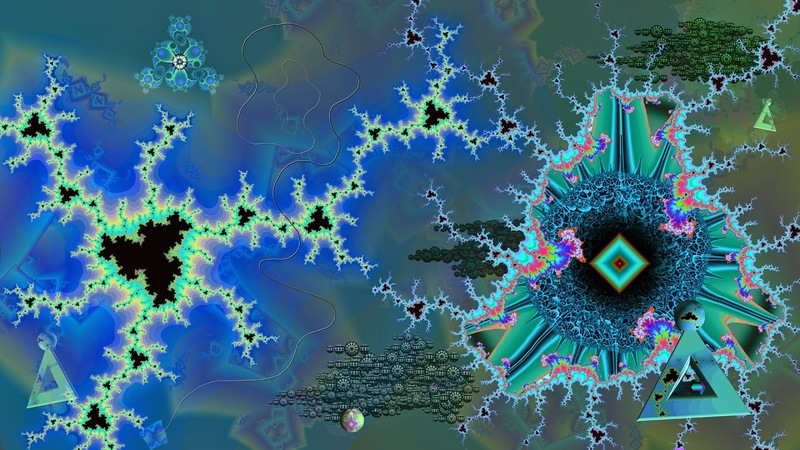 It still makes use of fractal and 3D elements, but the fractals are used in sections of the painting rather than overall, edge to edge. In many ways Strange and Uncertain is a continuation of a series of abstract paintings I made a few years ago. Those paintings can be seen elsewhere on this blog (May - October 2011).